Today I have to sickies laying on the couch home from school, so I’m thinking, it’s a bread baking day. I’ve been eyeballing this amazing looking Berry Mini Bread Loafs. So I think today I’m gonna finally get to make those since we’re home-bound today. I made this for dinner last night though. It’s amazing!! You would think with the red pepper flakes and cayenne it would have a little kick to it, but not at all. It balances out the sweet honey glaze perfectly, giving it amazing flavor. I did have a problem with the amount of time it said to bake this for though. It says to bake for 1 hour, then 30 min., then another hour. That last hour, I only baked for 30 minutes and mine was done. So something to maybe keep in mind when your cooking. 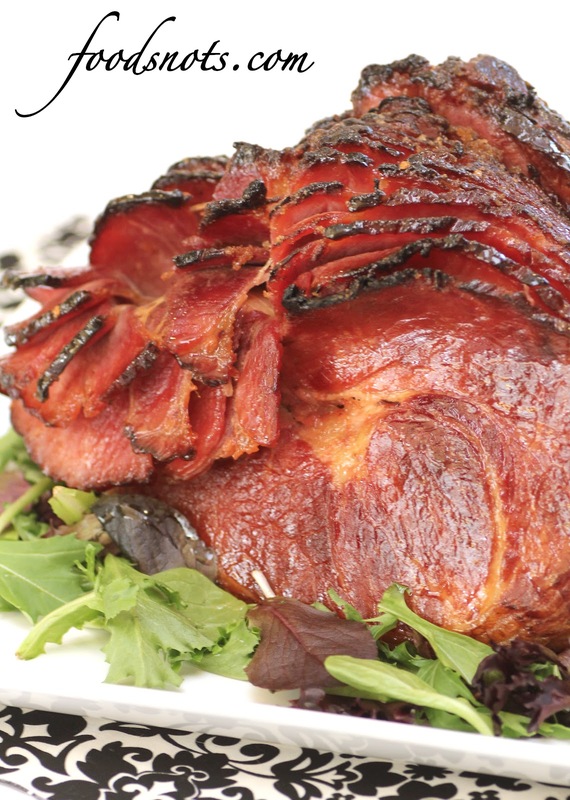 Place ham on a rack in a foil lined roasting pan. Bake the rounded side up for one hour. In a medium saucepan over medium heat, mix all ingredients together. Stir until it forms a nice this glaze. Rub on half of the glaze and bake for 30 minutes more. Flip the ham over and rub on remaining glaze and bake for 1 hour more. Remove from oven and allow the ham to rest for at least 30 minutes before serving.